If you happen to not be God, and you still want to feel like God, or if you are God and would like to practice your world building skillz, then you could go and grab a city simulator. The most famous city simulator franchise is SimCity. The second release of the game, SimCity 2000, was one of the first computer games I played. It has since then evolved into other competing city building games, such as the newly released Cities: Skylines. That game is according to many much better than the latest release of SimCity. Despite the criticism, SimCity was still a good-looking game, so today we are going to study the art of SimCity. 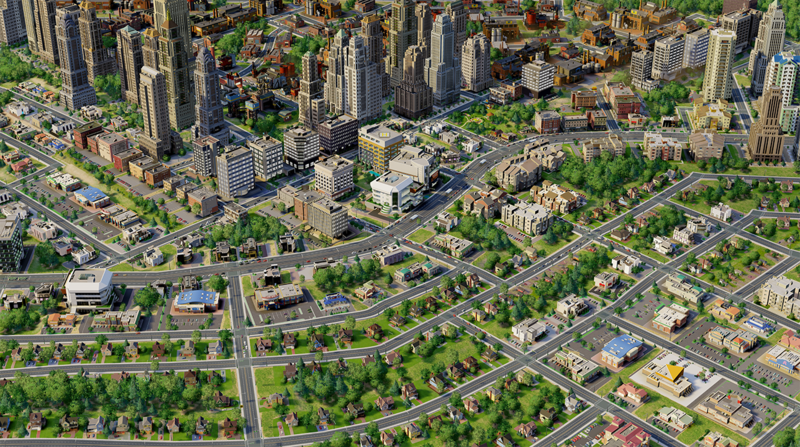 To help us, we are going to use a talk from GDC 2013 called Building SimCity: Art in the Service of Simulation. I can't embed it, so you have to visit the link. All details should have a purpose - never detail for details sake. If there's a car outside of the house, then make sure it looks like someone is currently inside of the house. 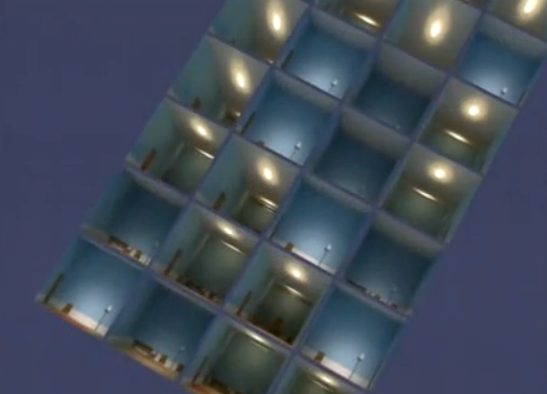 Almost all objects in SimCity are actually UI elements, which will give the player feedback. Neither add the small humans randomly, all of them should have a purpose. Because of computer limitations, SimCity's many different buildings are actually sharing some textures. A building with the size 16m x 32m uses up to 256 triangles. To keep the triangle count low, SimCity uses several techniques. For example, it might look like the buildings have interior, but the interior is actually a special texture called "interior mapping" that follows the camera giving the illusion of a real 3d interior. So if you look at the image below, you might say that it has to be 3d, but it's just a plane. A single car has about 310 vertices. The cars are using the same interior mapping technique as the buildings. Making roads the user can draw and texture them takes hours and hours. Don't forget to adapt colors to those who are color blind, it is not difficult either.